Brigg Town Community Interest Club kept their double hopes alive as they booked their place in the Lincolnshire FA County Junior Cup. 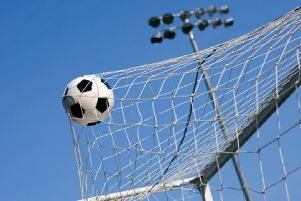 The Zebras survived a second-half comeback from Lincolnshire League rivals Wyberton to win the re-arranged semi-final clash 3-2 at the Hawthorns on Saturday. The original tie had been postponed from the previous Saturday due to snow, but it was the challenge of strong winds which greeted the two teams at the second time of asking. And the blustery conditions had a big say in what turned out to be a game of two halves. Brigg had the wind advantage in the first period and they took a three-goal lead into the interval. Jake Reed gave them the upper hand with his ninth goal of the season before Reece Moody’s penalty made it 2-0. The Zebras’ three-goal cushion was secured going into the break by Moody’s second of the game and his eighth in the competition. Wyberton needed an early goal in the second half and that’s exactly what they got. Janson Pinner reduced the arrears just two minutes in, and this was followed two minutes later by a goal from Scott Dawson. This made for an exciting last 40 minutes, but Brigg held out to set up a final against Horncastle, date and venue to be confirmed. 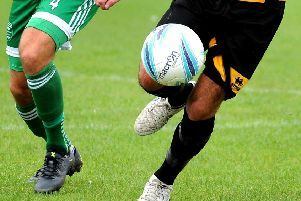 It was a good weekend for Brigg’s league title hopes as leaders Gainsborough Trinity Reserves failed to take advantage of their rivals missing a weekend round of league fixtures. Trinity were beaten 5-4 at home by Cleethorpes Town Reserves, but Brigg did drop to third as Lincoln Moorlands Railway leapfrogged them with a 5-2 home win over Horncastle. Brigg trail Gainsborough by seven points, but with five games in hand, and can chip into the deficit on Saturday with the first of these when they meet Wyberton for the second Saturday running. Kick-off at the Causeway Stadium is 2pm.